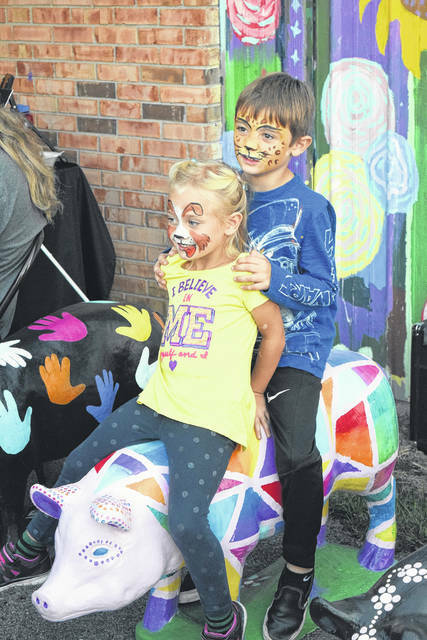 Preble County Art Association (PCAA) hosted its fifth annual Oinkers for Art on Friday, Sept. 28. Held as part of Arts Night Out, attendees had the opportunity to bid on any of the 10 pigs which were painted this year. 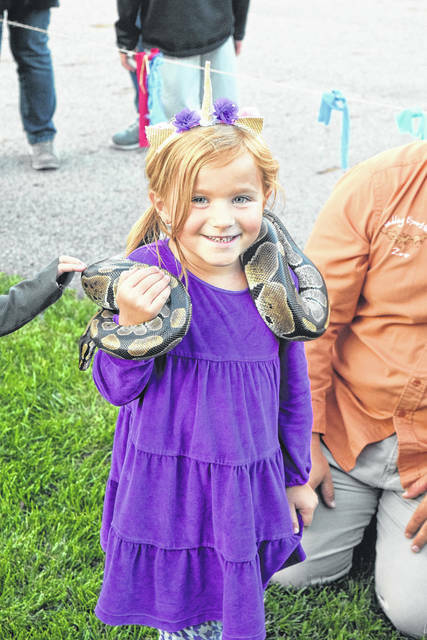 EATON — Preble County Art Association (PCAA) hosted its fifth annual Oinkers for Art on Friday, Sept. 28. Held as part of Arts Night Out, attendees had the opportunity to bid on any of the 10 pigs which were painted this year. 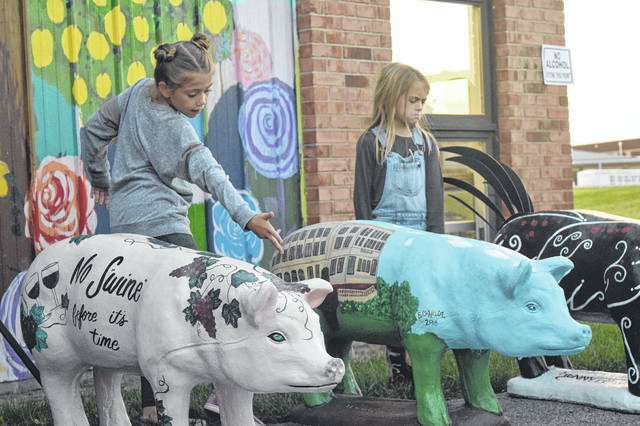 Pigs were painted by The Star Theatre at Eagles Point, Sarah Shepherd in Memory of Michael Wallace, Heidi Flory, Samantha Gramaglia & Mandi Mullins, Preble County Juvenile & Probate Court, The Greenbriar/Viktorya Howard, Somerville Bank, Henny Penny, Roselius Insurance, and Reid Family Care. All proceeds benefit PCAA, helping the organization provide art programming to Preble County. The auction raised a total of $3,875. Both Somerville Bank and Heidi Flory sold their pigs for the highest bids of $575 each. Henny Penny sold its pig for $525. Samantha Gramaglia and Preble County Juvenile & Probate Court sold pigs for $350. Sarah Shepherd and The Greenbriar sold pigs for $325. 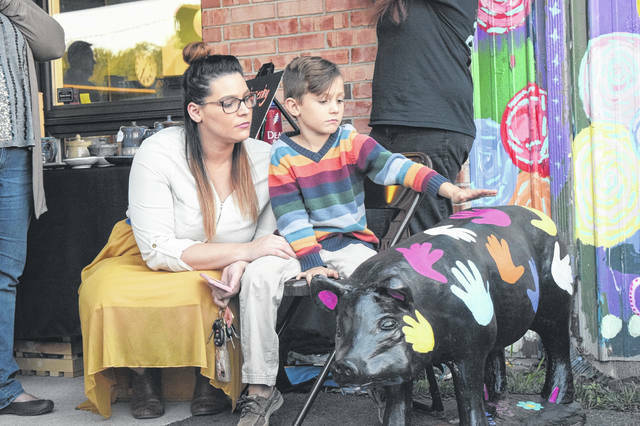 Star Theater and Reid Family Care’s artists sold their pigs for $300. 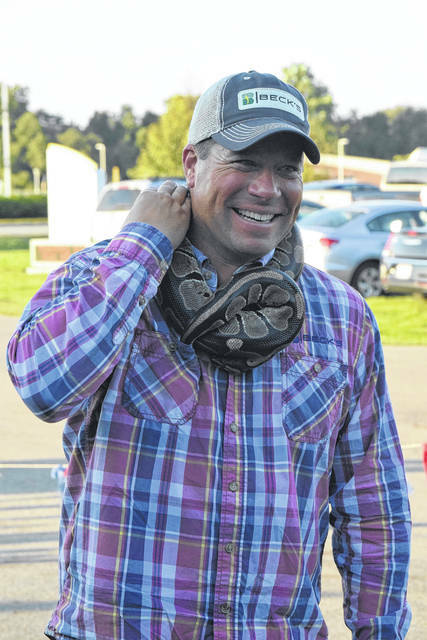 Roselius Insurance sold its pig for $250. New this year, every pig had the chance to take home a Golden Oinker. 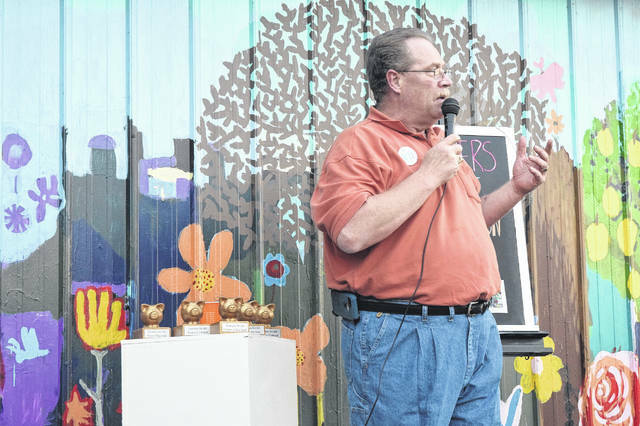 The award was presented for each category, including: Oinker of the Year, Overall Best Pig; Norman Porkwell, Hometown Pride; Pablo Pigcasso, Originality; Andy Warhog, Essence of Subject; and Porker’s Choice Community Favorite. Henny Penny won the Norman Porkwell, Hometown Pride Golden Oinker. Heidi Flory won the Pablo Pigcasso, Originality Golden Oinker. 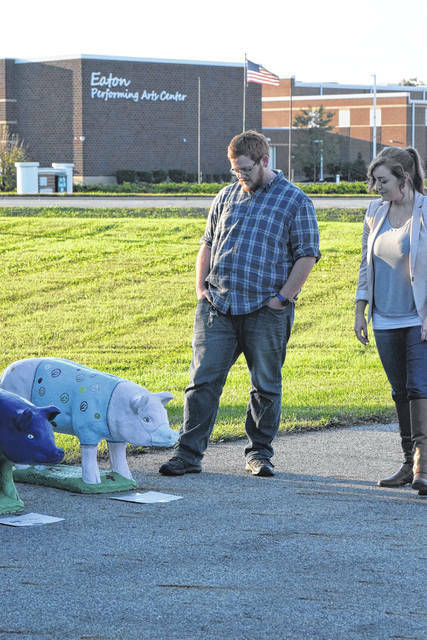 Reid Family Care won the Andy Warhog, Essence of Subject Golden Oinker. 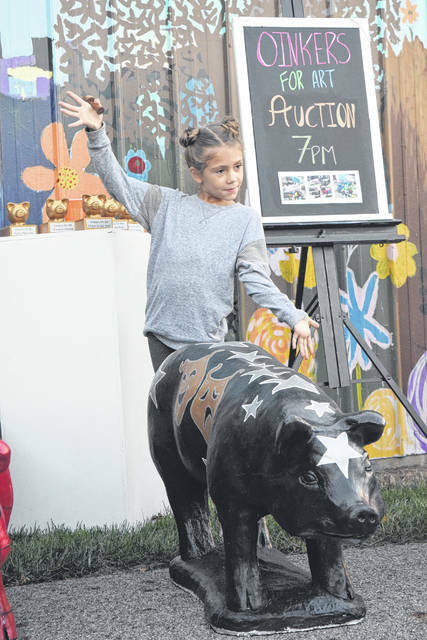 Samantha Gramaglia won the Porker’s Choice Community Favorite Golden Oinker. Sarah Shepherd won the Oinker of the Year Golden Oinker. Kent Stonecash served as auctioneer for the event. 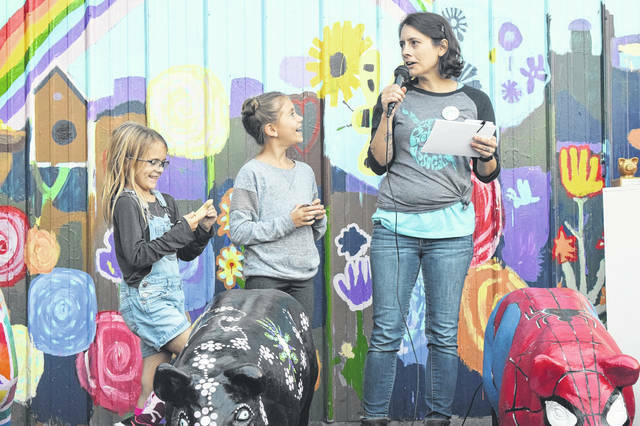 Also new this year, instead of being held at the Pork Festival, the auction took place during PCAA’s Art’s Night Out, which is designed to combine entertainment and education of the arts. 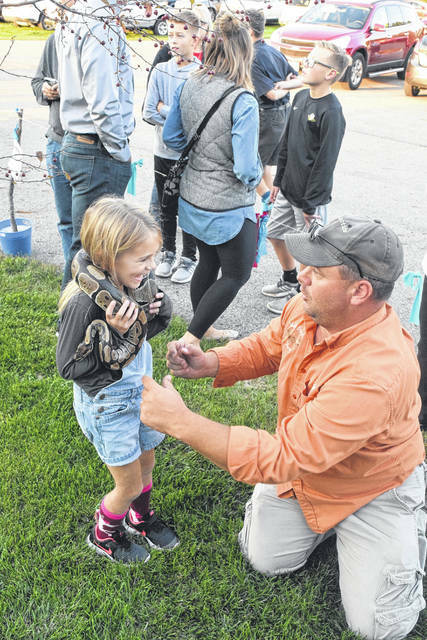 The event featured live music by Tommy Renfro, food by Adam’s Rib food truck, craft beer by Toxic Brewery, animal demonstrations by Safari Junction, art demos and sales, art activities, and more. “Thank you everybody for coming out tonight. This is our fifth annual Oinker’s for Art auction. 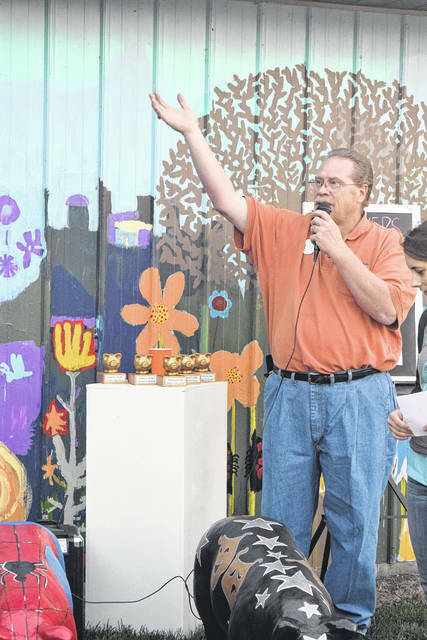 It is the first time we have done the auction at the Art Center and we are really excited about that,” PCAA Executive Director Vicky Fanberg said. 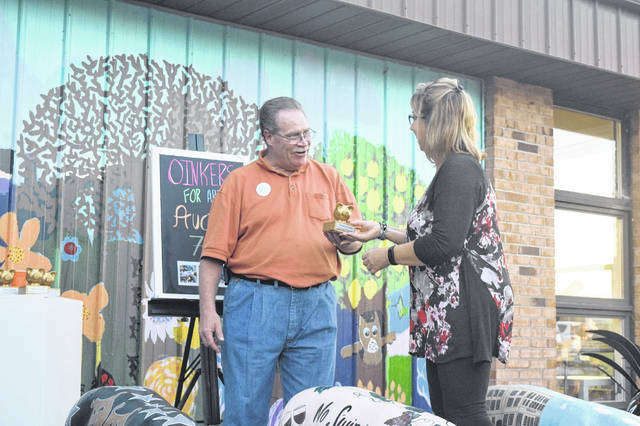 https://www.registerherald.com/wp-content/uploads/sites/41/2018/10/web1_Oinkers11.jpgPreble County Art Association (PCAA) hosted its fifth annual Oinkers for Art on Friday, Sept. 28. 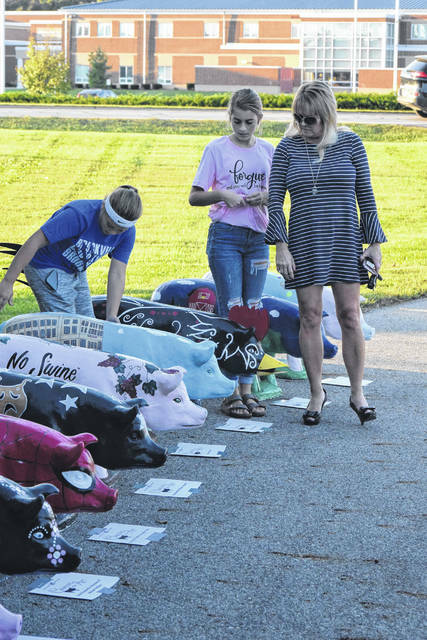 Held as part of Arts Night Out, attendees had the opportunity to bid on any of the 10 pigs which were painted this year.